Just a quick note in the feed that I added a new FAQ page to the site. Enjoy! Oh, and comment there if you have comments on the FAQ. If you have comments on this post about the FAQ, I suppose you should comment here then! 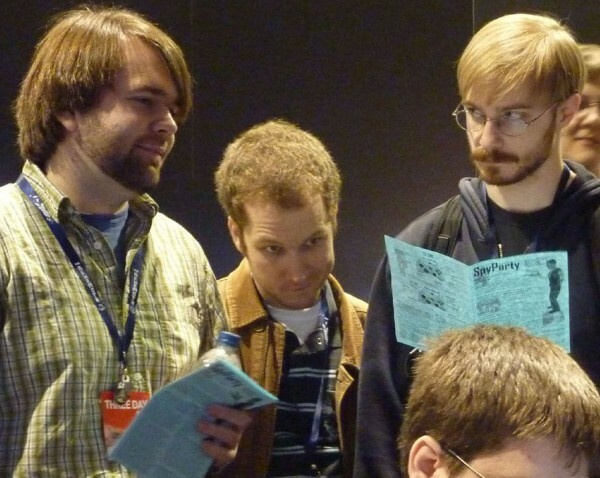 I love these guys from PAX East 2011. They look like they're straight out of a Judd Apatow film! Oh my god, that photo is amazing. They look straight out of Superbad! So where should this kind of comment go?